I can officially cross the first item off my Book Bucket List! As part of our Book Bucket List Challenge, I’m aiming to read 12 books which aren’t part of my normal review pile that I’ve been meaning to get to for a while. Why did you include it to your Book Bucket List? : When I first got the position as review for this site I had only just finished reading Shiver, and like everyone else, completely loved it. Linger was in one of the first boxes I received from publishers for review, only thing is, Nikki had already read, reviewed it and lined it up as our Book of the Month for July. So, there was no point in it being reviewed twice and I had plenty of books to get to so I put it off for months – till now! To check out Nikki’s original review click here. Brief Thoughts? 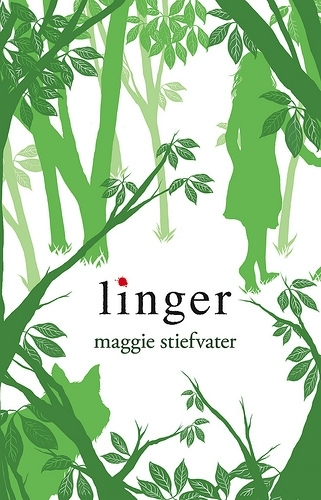 : In general, I did really enjoy Linger but it didn’t have the same intensity as Shiver. The pace was a little slower and the love story wasn’t as prominent, which was what hooked me to begin with. 3.5 might seem like a low rating but when I think of it out of 10, a seven would be a fair score. By the end of the book I LOVED Cole, which was a surprise, but I also found myself liking Sam less. He always seemed to be sad about something, first he was sad about being a werewolf, now he’s sad he’s not one since all his ‘family’ is, then he was sad about Grace, sad about Beck choosing Cole to be a wolf…just a lot of sadness. I found myself really agreeing with Isabel who tried to shake him out of it, saying he needed to step up. Grace showed plenty of strength in this book when she faced quite a few obstacles, including her parents, but she faced them all boldly which was great to see. Isabel was as haughty as ever but let her guard down at times and developed even further as a character and a person becoming someone you could definitely sympathize with and really like. Would you recommend it? : Yes – the second book in the series sets us up for the excitement of the last book, Forever, which is due out later this year. To check out other participant’s review or share your Book Bucket List review, follow the link below and leave the url to your review.